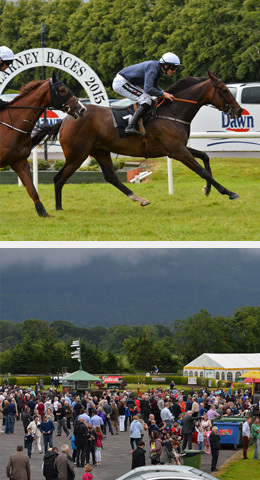 The Panoramic Restaurant at Killarney Racecourse boasts panoramic views of Killarney National Park, Ross Castle, The Lakes of Killarney and McGillycuddy Reeks. The restaurant also offers breath-taking views of the racecourse with its own private balcony. Here guests can avail of a private bar and tote facilities. The Restaurant combines the action and atmosphere for the racegoer while enjoying excellent food in a luxurious environment. 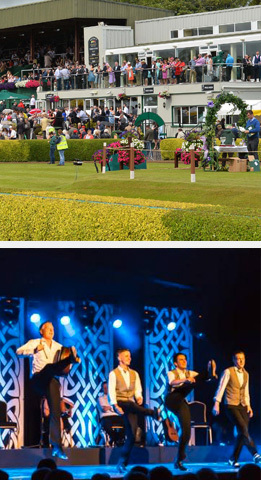 There are a variety of hospitality packages available throughout each of the festivals. 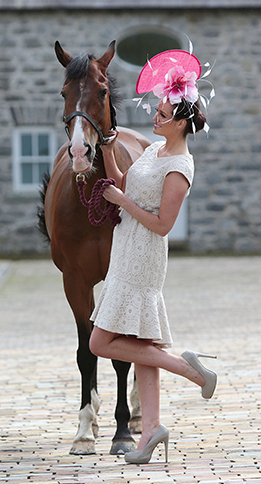 Post Racing join us in The Jim Culloty Bar for the very best of live entertainment.